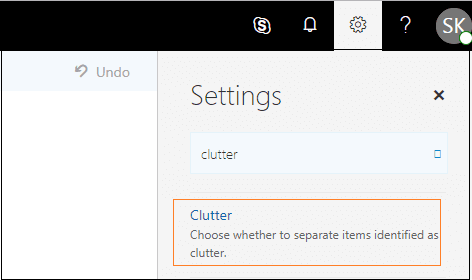 How to Disable ‘Clutter’ in Office 365 Mailboxes? The article describes the ‘Clutter’ feature of Office 365. Some ways to disable this feature in Office 365 are also described. First of all, ‘clutter’ means a set of dirty things collected at a place. This mailbox management feature was introduced to move the low-priority messages from Inbox to the “Clutter” folder (in the user mailbox) to reduce the Inbox clutter. Because some users rely on rules for managing the mails, this Clutter feature is unnecessary for them. So, they can consider disabling this feature. Here we are discussing two ways for disabling the Clutter feature, one for administrators and the other for end users. How Can Office 365 Administrators Disable Clutter? It will ask for the Office 365 login credentials. Enter your Office 365 username, password and then click OK.
Now, run these two commands one after another. Office 365 account is successfully connected through PowerShell. Execute this command to disable the Clutter feature for Office 365 mailboxes. How Can Office 365 End Users Disable Clutter? Go to the gear-shaped Settings option and search for the ‘clutter’ word. Click on the Clutter option. Now, clear the checkbox “Separate items identified as clutter” and click on Save to save the settings. This will disable the clutter feature in your Office 365 mailbox. Two ways to disable the Clutter feature is discussed here. Exchange administrators can use the PowerShell method, whereas Office 365 end users can use the second method.